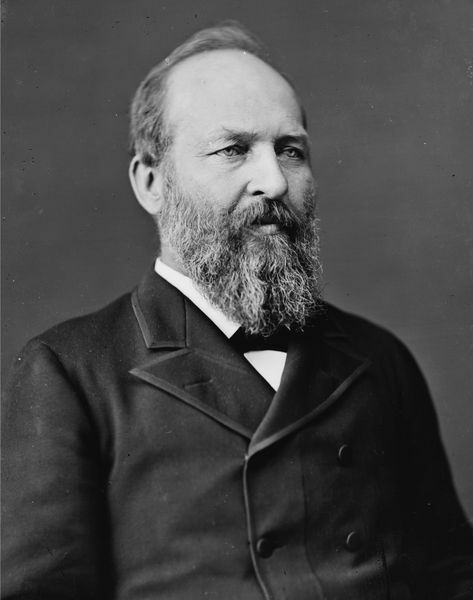 James Garfield, 20th President of the United States. This image is in the public domain in the United States. In most cases, this means that its first publication was in the United States prior to January 1, 1923 or that its copyright expired in the United States. This image might not be in the public domain outside of the United States (this especially applies in Canada, China (not Macao or Taiwan), Germany or Switzerland). The creator and year of publication are essential information and must be provided. See Wikipedia:Public domain and Wikipedia:Copyrights for more details.